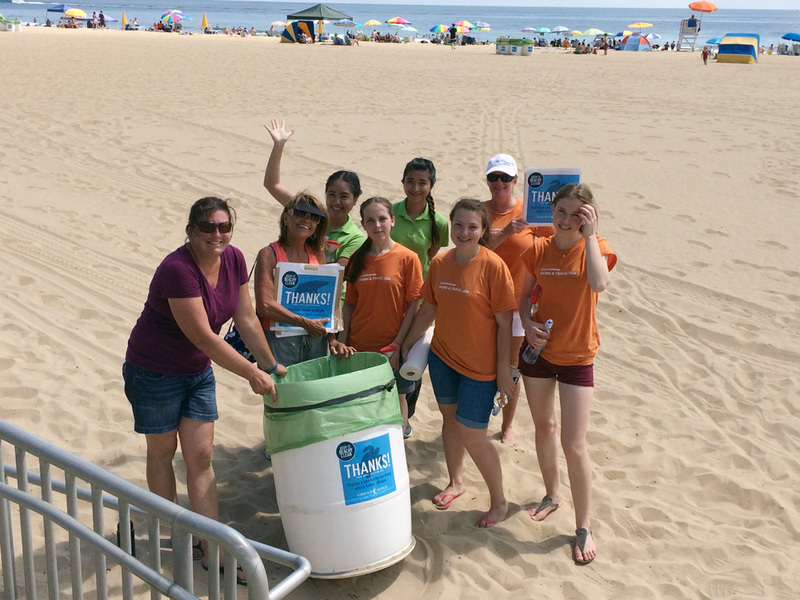 On July 15th, InterExchange students gathered to participate in a project along the Virginia Beach oceanfront called "Beachy Clean." 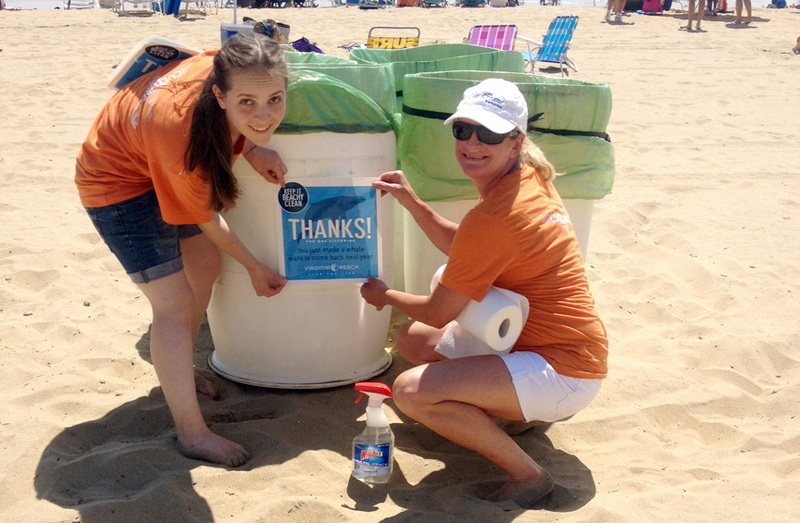 With the assistance of the Virginia Beach GREEN Team, the students canvassed the beach from 7th to 17th Street, placing stickers on trash receptacles as part of a beach beautification project. The large, attractive stickers showcase animated sea creatures sending friendly messages to encourage people to keep the beach litter-free. One of our student's favorites said: "Thank you! You just made a whale want to come back next year!" This fun activity highlighted American environmental stewardship. We hope our participants are inspired to take this idea back to their home cities and start a beach or park clean-up where they live!